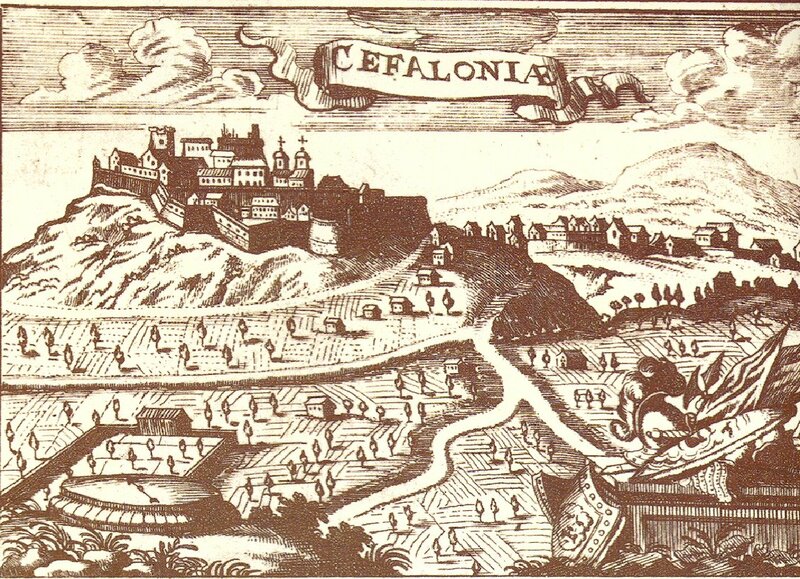 The island of Kephalonia was ruled by the Tocco family. Members of this family played a significant role in the Ionian Islands as well as in Epiros in the 14th and 15th c. The family was also closely associated with the Emperor John and his family, since Constantine Palaiologos, John’s brother, had married Maddelena- Theodora, daughter of Leonardo II Tocco. The control of the island remained under this family until its capture by the Ottomans in 1479 (ODB, 2090-1). The castle of Kephalonia, also known as castle of St. George, was built by the Venetians in the 16th c., but it is built on top of an older fort probably Byzantine (Hellenic Ministry of Culture2001, 12-13).